You have a great product. Your website and social media platforms are delivering excellent content. Your customer service is unparalleled. For some reason, though, you are just not seeing the kind of growth you want. This is likely because you are not reaching your target audience, or at least as much of your target audience as you could be. One great option is to purchase a mailing list and get exactly the type of customers you are looking for. The following breaks down buying an email list and why it might be the perfect solution for your dilemma. Building an email list takes a lot of time. First, you have to constantly request email and personal information from customers and potential customers. Due to the fact that individuals are tired of junk mail filling up their inboxes, they are cautious of giving this information out and quick to unsubscribe from lists. Second, though, beyond simply getting a list of emails, you then have to do a lot of work with that list. You need to spend time with analytics software to break down the list into smaller lists based on customer behavior and demographics, which will then allow you to send out consistent and effective campaigns. By buying an email list, you can avoid all of this frustration. The professional service that you buy the list from will do all of the heavy lifting of segmenting the list. This list will then be industry-specific so that it reaches the perfect target audience immediately. In other words, your campaigns will hit the right notes every time and all you have to concentrate on is working with a marketing agency to create intriguing and compelling content. A quality email list is not going to be free. However, if you add up the amount of time and money that will need to be invested in order to build and gain analytics on a list, a purchased list will always come out less expensive. The reason for this is simple: Companies that sell quality email lists specialize in putting these lists together. They know how to effectively and efficiently gather emails and other personal information. They have the software and technology that enables them to break down these lists and get the nitty-gritty analytics on them. In short, you do not have to spend an arm and a leg to get the email list you need and you can rest assured that, as long as quality campaigns are sent out, your investment will be returned. The beauty of buying an email list is that the data in the list will be of high-quality if acquired from a quality provider. You provide the vendor with the target audience and they provide you with a large list of individuals who fit that description—individuals who want to know about the product or service you provide. 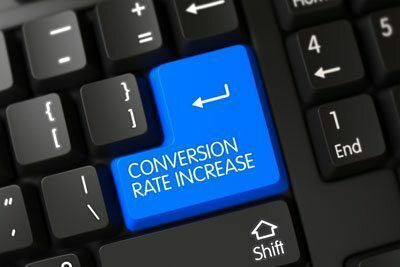 This means that you will start getting a much higher conversion rate from the emails you send out. People will start clicking on your content, visiting your website, contacting your customer service, and purchasing your products or services. You do, however, need to keep your expectations realistic. Not every email on the list will be a long-term, loyal customer to your brand. But you will find a few and those few will tell their friends, family, and acquaintances. And this is exactly how you make back the money you spent on purchasing the list and then some. One of the convenient aspects of buying an email list is just how measurable the ROI is with each and every email purchased. With this kind of list, there is a clear cut cost per email. The amount of time and money put into designing and developing a campaign can be fairly easily laid out. This means that for every email address that turns into a lead and then turns into a customer and then creates referrals, an accurate ROI can be determined. 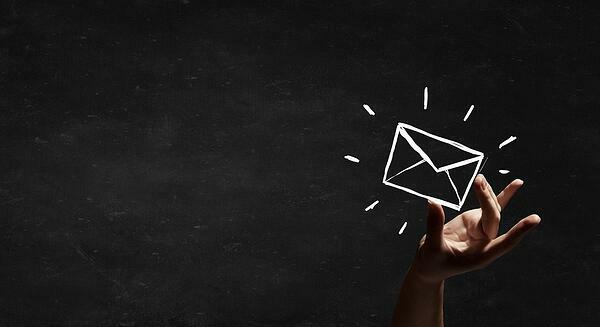 With a built email list, on the other hand, an accurate ROI is nearly impossible to calculate. The time, money, and other resources put into capturing the personal information is extensive and difficult to break down. The struggles with building an email list have already been mentioned. It takes a lot of time and manpower. It can cost a lot of money. The list does not always turn out that strong. It can be difficult to determine whether the effort put in has produced worthwhile results. Basically, building an email list can produce devastating results. You have the potential of putting a lot of time and effort into creating a list with poor quality contacts that do not fit into the desired target audience. And this is exactly where buying a list comes in. Reputable email list providers have the technology to produce email lists that connects businesses to the leads that they want. As long as effective campaigns are sent out, leads and customers will be created. Once you have decided that a purchased email list is the right option for you, you need to follow a process to ensure that your purchase is as productive as possible. Decide on your target audience. It is pointless to purchase an email list without knowing who you are targeting. You will end up wasting money on contacts who would never be interested in your product or service. The more targeted your audience is, the better. Email list providers can narrow a list down so that it targets environmentally conscientious consumers who are in their early thirties and live in the southeast region of the United States. It is this type of specificity that will create results. Make sure you are buying from a data seller that follows the Data Protection Act of 1998. When you purchase or use data, it is your legal responsibility to ensure that it is collected, processed, and stored legally. Work with an inbound marketing agency. Oftentimes their additional services will enable you to take your purchased list to the next level of effectiveness. For more information about how we can fully utilize your email list and send out successful email marketing campaigns, please contact us.